Police placed a student housing complex on lockdown after a deadly shooting near Florida Atlantic University. 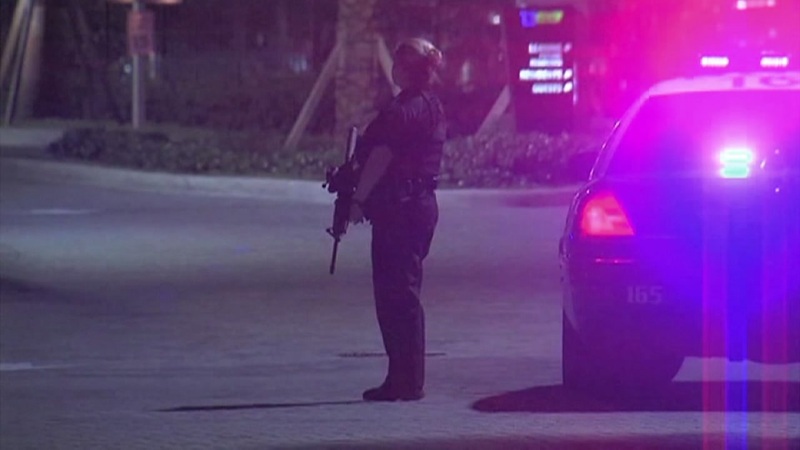 BOCA RATON, FL (KTRK) -- A manhunt is underway after someone shot and killed a 19-year-old man at a student housing complex near Florida Atlantic University. A lockdown was in effect at the complex for several hours. Officers armed with rifles patrolled the area. Police said they were looking for five people for questioning in the murder. "They thought it was a fight originally," says FAU sophomore Kelsie Pitzman. "Security came back and kept screaming on the phone to 911 that someone was shot and like two minutes later three cops with huge guns got here. And then now we are lockdown." Students were told to remain inside their dorm rooms for their safety. "They weren't like... two cops were yelling across the street saying, 'Get back in your house,'" another student says. Police say a witness gave them a good description of at least one of the possible shooters.